The Blackbelt — 3D Printer Filament - STANDARD PRINT CO. Fewer production system breakdowns due to high-performance aluminium construction. 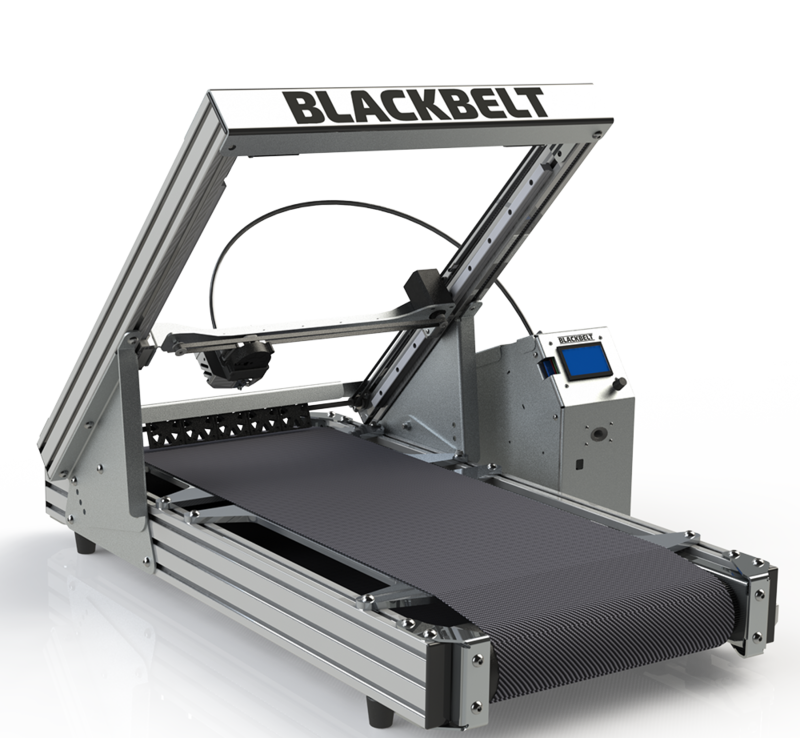 BLACKBELT’s reinforced frame design also eliminates the need for re-leveling between prints after initial setup, ensuring complete part consistency thorough your whole production run. Print heads: nozzle sizes 0.4/ 0.6/ 0.8 mm come with the printer. Additional Industrial grade stand and roller table available, providing additional support for prints exceeding 1.3m.